I like the part about hyd reservoir on 40 series. They are nice tractors but I want to buy a nice 1586 one day just to do it. Awesome literature, thanks for sharing. The Nebraska tests list the 1586 at 15,120 lbs without ballast. The 4630 at 16,250 lbs and the 4640 at 18,120 lbs both without ballast. All three tractors were equipped with duals and fluids just as you take them to the field minus the ballast. 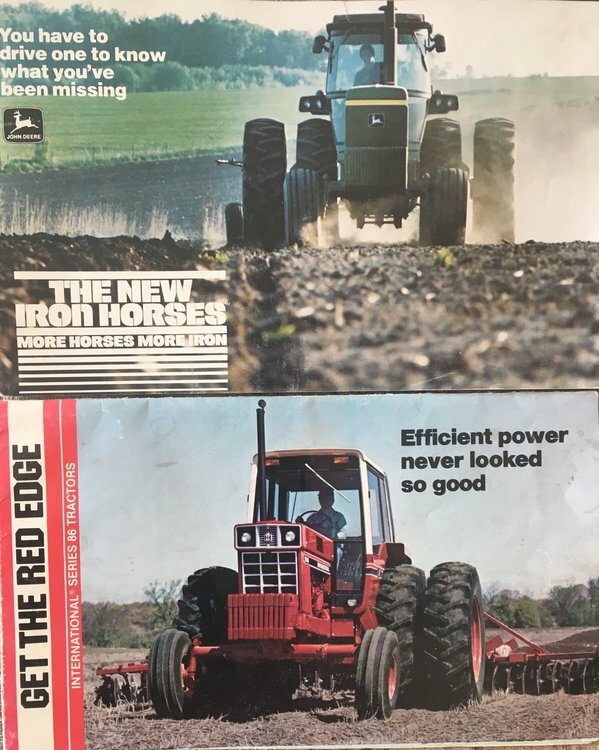 The weights in varies Ops manuals from what I’ve seen for tractors could be anywhere from dry shipping weight with singles to field ready with half tank of fuel. That’s why I went to the Neb tests. Chopping I would much rather be in a 30 series Deere than an 86. An 88 would be neat to spend a little more time on a cart in. The 4630 I've been around used to be a turtle on 18.4x38s but now is on 20.8x42s and it scoots along, well compared to other soundguards at least. But still always would prefer a Magnum. Are they Quad Range or Synchro Transmission? Ive driven a 4630 for a neighbor with a Synchro on it driving grain cart. It was a Pain to use though a Quad would be better than a Synchro. 4630 and 4430 are Quad range, I really like that. 4440 is 8 speed, been awhile since I've ran it, friend usually runs that one. 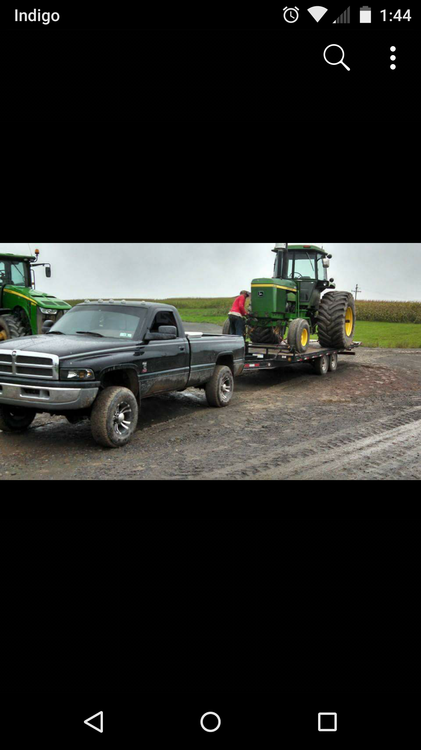 4450 has a 15 speed in it. Not my favorite for chopping. Almost too many gears. Somewhat prefer the 8 speed in that department but the 50 is the nicest of them all comfort wise. The quad is a synchro with 2 speed planetary. The 4430 isn’t the same trans as the 4630 though. 4430 is 4020 improved. 4630 is improvement of the 45,4620 lineup. Like is said before 4630 trans was used as base for 8630,40 50 and by looking the 8850 used it with double planetary. The 8 speed 4630 power shift was developed off the 5020 (700 number ? )series scraper tractors not the ag tractor.with similarities to 4020 ps. 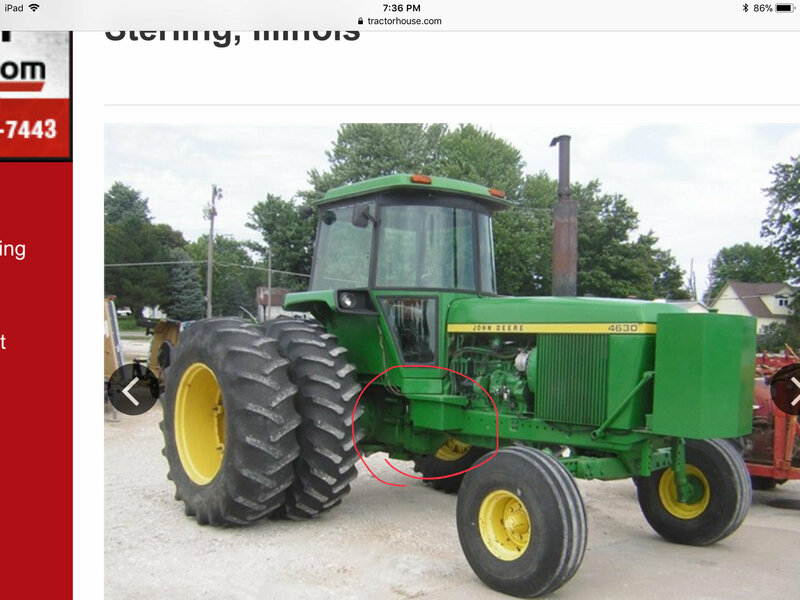 The 15 speed in newer tractors is real similar to 8 speed in rear sections but has a double speed power shift pack on flywheel to kind of split every gear. It is similar but not the same as early 8 speeds. Around here as much of the country early 4630 were synchro or power shift as quad wasn’t available in 4630 right away. But I have seen synchro 4240 so it was a option for a while. Working on buying the complete 30 series line, the complete 86 series to one day. 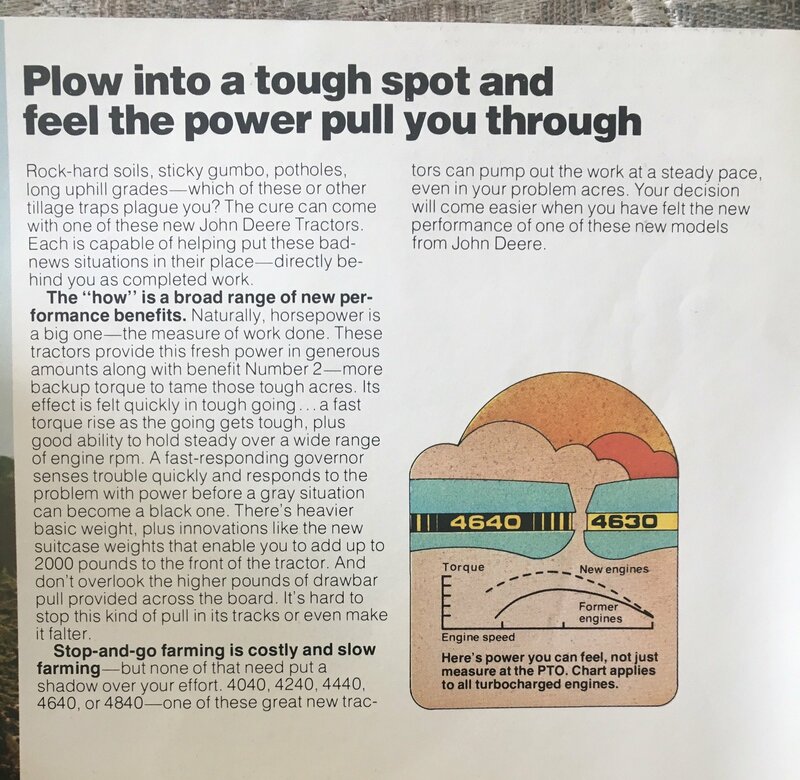 the first 4630 power shifts had a heating problem Deere updated the radiators and that helped a lot. The final drives on the 4630 were similar size to the ones on our maxxum, 15 was huge in comparison in the back end. Those little Maxxums were tough little devils. Ring gear is 13" in diameter with 3 1/4" of gear tooth contact. They also had a high final drive ratio, 6:1. I think they would live at 150-160 HP. Correct. I didnt mean to imply that's how each were manufactured, I can see how that could be confused though. I was just saying how each of the neighbors tractors were equipped. ...early 4630 were synchro or power shift as quad wasn’t available in 4630 right away. I remember that too. 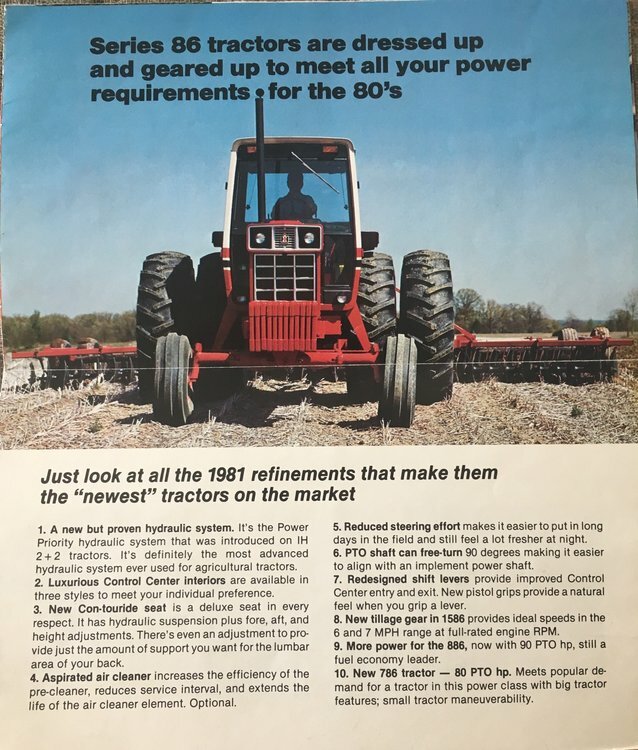 40, 42, and 4430 came with synchro, power shift, or quad, but 4630 was only syncro or quad. Not sure what year they put the quad in the 4630, but I'd guess '75 or 76 (?). 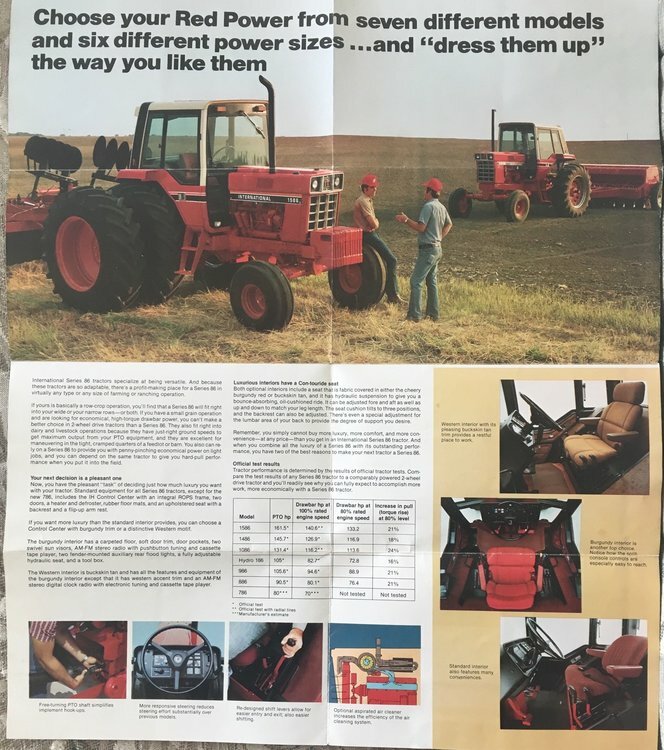 The quad shows up as an option for the 4630 in my brochure dated February 1974. Here is were I stand on all of it. I would take a 30 series over a 66 series no question. I would prefer a 30 series over the 86 series although I could be convinced to take an 86 if things were right. 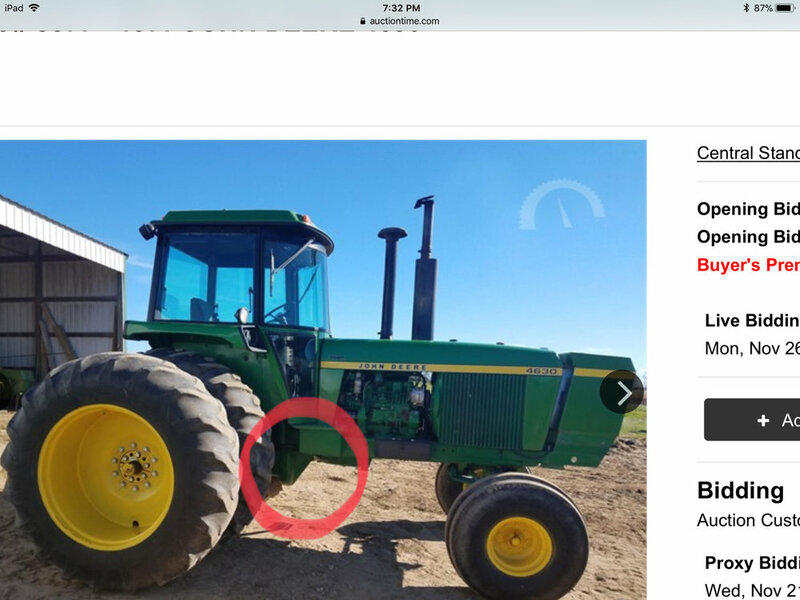 Its just that I have a hard time putting a tractor still with a TA/dry clutch and somewhat missed up layout over what JD had. Lastly, definitely a 40 series over an 86 series. The first 4630s clutch housing is different. It doesn’t have the deep drop for pto driven gear with drain plug right behind engine oil pan. I have had plenty of newer ones apart but never a synchro. 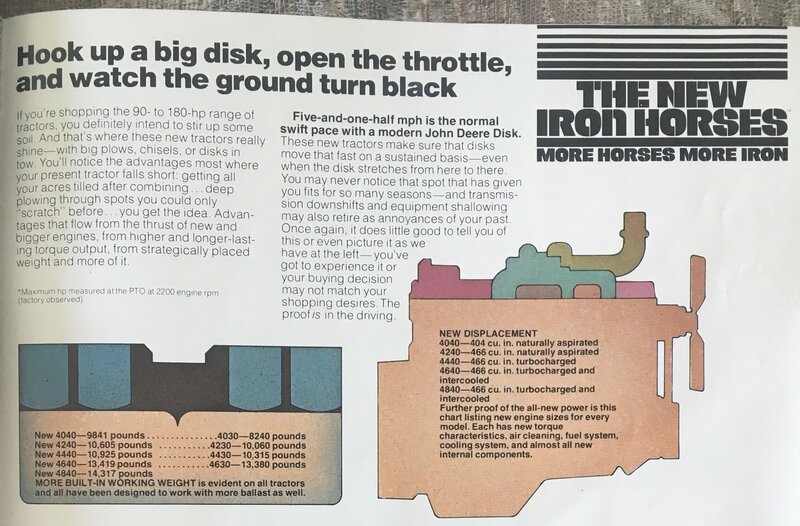 I don’t think you could add the quad range without changing clutch housing. Here is pic of the 2 and they are a little different. 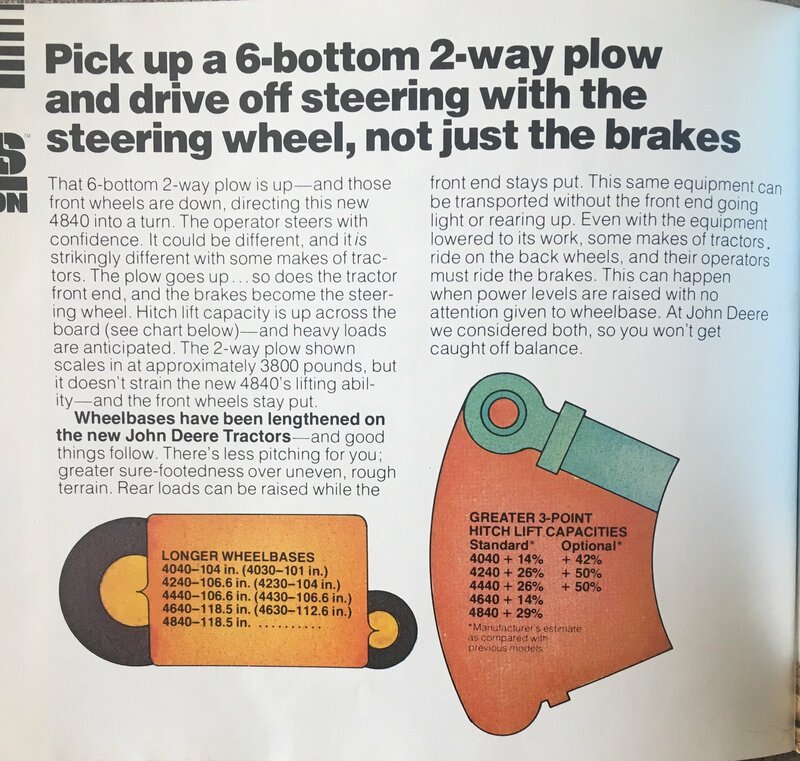 Quad in a 4630 was at least out in the fall of 1973. Good friend bought one new. Deere also had a recall on the 4630 fuel tank. Local dealer sold several 4630 and I went to Kansas city and pick up a car trailer full of fuel tanks. Interests:Tractor pulling and workin on old binders. 660,F-20,30,2 F-14's,F-12,W-30,460gas,1947 M,1929 22-36,'53 Super M,IHC model "M" hit and miss,IH 140,and a,'76 966 with hinker cab with 1066 turbo,cub 154 loboy, and a Super C with 3 point. We just added 2 '66 IH 1100 pickups and a '67 1300 4x4. I dont mind a 4440 with a quad. Dont like the '30 series deere at all. That being said ill take the t/a and power band of an '86 series any day. The 4640's ive ran have no bottom end. Especially with the 8spd powerjerk. 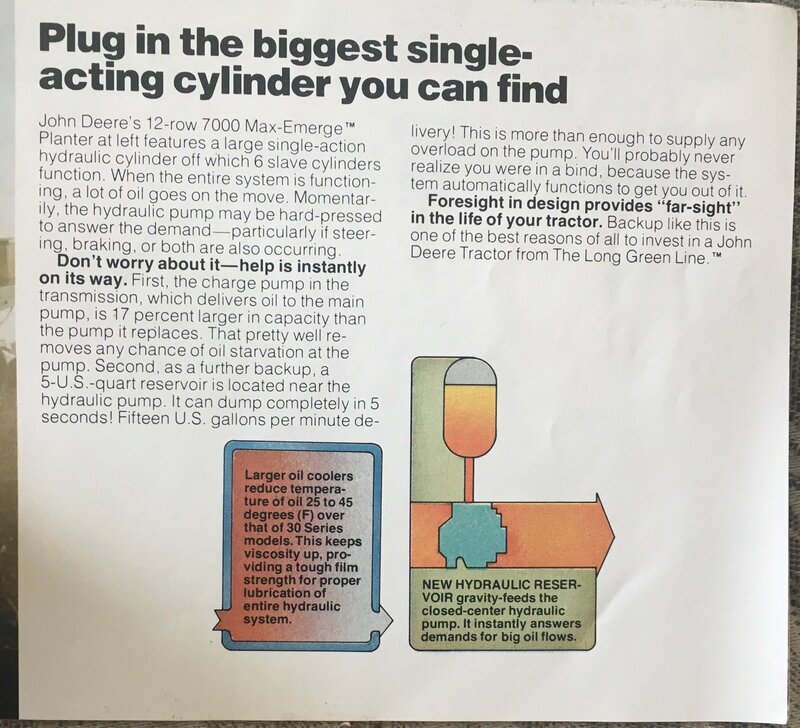 Now get into a deere 50 or 55 series with the 15spd powershift or the quad and they were a nice tractor. 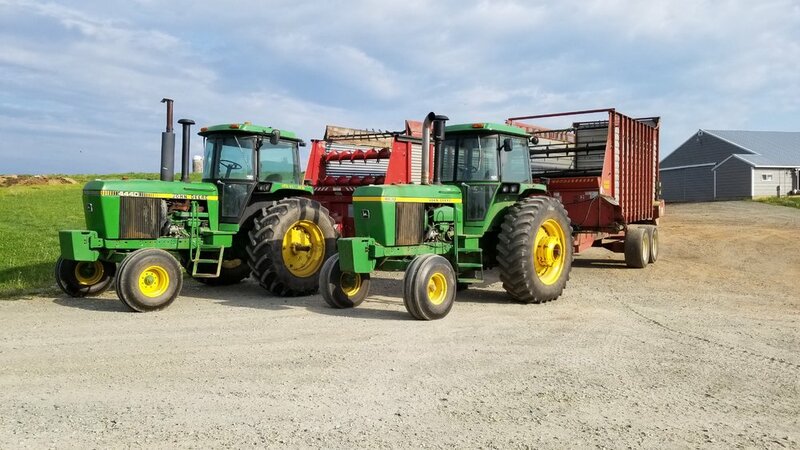 I like boxcar magnums better but the 50 and 55 series were nice for a deere.